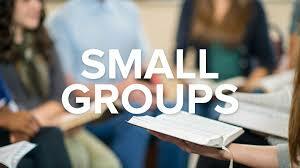 I believe there is a supernatural power that flows in a small group Bible study. I have experienced it as a small group leader and as a student. Women meeting together to share how God has been working in their lives and to pray for one another is the foundation for truly transformational fellowship. My friend, Kellan, has written a Bible study based on this premise called Genuine Transformation: a reality driven scripture study. As one of several who have taken part in editing and testing this study, I’m giving this a big thumbs up. (Excerpt from the back cover) This study takes what you are going through and who you are, and filters these through scripture in three ways: Discover and focus on who God is and what he does. Discover and focus on yourself in a healthy way by knowing who you are to God and who you are in Jesus. Find out God’s truth about your problems, feelings and questions by bringing them to God. In this unique Bible study you won’t find fill-in-the-blank questions or lengthy chapters to read. What you will find are prompts for bringing your real life concerns to God, and ways to find answers in the truth of his word. Kellan has graciously made this Genuine Transformation Bible Study a free downloadable pdf. You may also download the Leader’s Guide for this small group Bible study. This entry was posted in Inspiration and tagged Christian women's Bible study, free Bible study with leader's guide, genuine transformation bible study, new Bible study for Fall, real life problems and answers, small group Bible study. Bookmark the permalink.